Perfect products for a flawless finish! Offering 16 shades, Ultra Foundation is AGE and RACE NEUTRAL, including 4 unique colour adjustors - Zero Minus, Zero Plus, Zero Plus Plus and Heat. The adjusters will lighten or darken a shade as desired. Superstar Heat can be used to warm them up and doubles as an ideal blush for women of colour. The result is your very own custom foundation all year round, even as your skin tone changes with the seasons. Moisture, heat and sebum resistant. Shade adjusters are available by special order. Perfectly complimented by our One Fine Beauty Translucent Powder and Matte Perfection Touch Up Veil below! Our dream product!! This incredible product totally illuminates your complexion... A serious wakeup call for tired eyes, as it helps to keep the under eye area looking bright eyed and awake! Not just a concealer, our Matte Perfection Touch Up Veil is beautiful lightweight, water resistant, long-wearing highlighter with a matte finish. 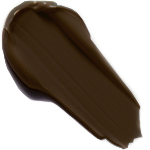 Shades N2, N25, N10 and C25 are skin tone shades, and help to correct and conceal flawlessly. 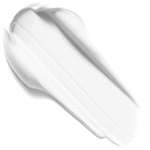 The ‘Brightener’ shade is a pink/peach base tone, and helps to neutralizes under eye darkness in fair skin tones. You may or may not need to use an additional concealer - try it with and without to see what works for you!